No doubt about it, Arizona Casinos are a popular form of entertainment in AZ and their locations are right at your fingertips. 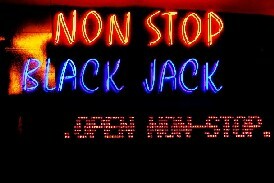 Please read on to access this AZ casinos directory. Northern Arizona University researched this very same topic and upon the completion of their study, reported that one-third of all Arizonans stated that they gambled. 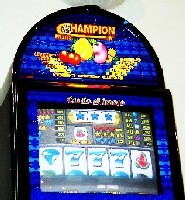 There are many who enjoy the game of gambling. If you are looking for something to do, consider trying your luck at gambling at any of the Arizona casinos where you will definitely experience much of the same excitement you would find in Vegas! You will find that many of these locations have various regular entertainment acts to suit everyone. Whether you prefer the slot machines, blackjack, bingo, or a show that happens to be at one of many casinos in Arizona, your choices will undoubtedly be plentiful. Arizona is well known for offering an abundance of things to do for you and your family. So if you are a resident of the state or just a winter visitor, Arizona welcomes you to explore all of its attractions it offers including the many casinos in Arizona spread out throughout the entire state. Are YOU Ready to Win at One of Arizona Casinos? While it is true that all casinos take in their fair share of money, they have also paid out their share to gamblers and have given back monies to the communities in return. The Arizona Department of Gaming reported that gaming revenue increased close to 17 percent to $1.79 billion (Yes, I said Billion!) in the fiscal year of 2006 and has continued to profit in the years following. What I feel is also important to note here, is that financial contributions to the state of Arizona rose to almost 26 percent. These monies went to not only the state, but also the towns, cities as well as the counties. No matter how you look at it, there certainly are some very big benefits that the state, overall, receives from these places. Certainly no sign of slowing things down when it comes to gambling in Arizona! As reported by the Arizona Republic, The Gila River Indian Community doubled the size of their smallest casino and moved south of the Chandler, Arizona area, located southwest of the Hunt Highway and Gilbert Road, which opened in 2008. The Republic notes that the reason for the expansion was due to the economic growth that this area has already shown and the projection of future growth of surrounding communities such as Gilbert, Chandler, Queen Creek and Florence. The Arizona Indian Gaming Association, AIGA, is a non-profit organization that is dedicated to advancing the lives of Indian people in many ways such as socially, economically, as well as politically. Established on November 21, 1994 as the Gaming Association remains strong along with the Indian tribes in Arizona it serves. AIGA represents 19 Indian tribes who are members and live on reservations in Arizona. The Arizona Indian Gaming Association is committed to protecting and promoting the general welfare of Indian tribes whose goal is to assist these tribes to be self reliant. Without question, gambling puts money back into the state can certainly be a good thing for our state, but there certainly has to be a sense of responsibility on any gamblers part. Unfortunately, there are those who have issues with gambling and it can become something very serious and is no longer considered fun when it destroys relationships and a persons financial well being. If you feel that you have a problem with gambling or know someone who might have a problem with gambling, or would would just like to know more about gambling issues, log onto the following link.